Right now, the big idea on the table from Gov. Greg Abbott is to cap annual increases in property tax revenue to 2.5 percent. This plan would give property owners a bigger break than it would give schools extra money — three times as big. Texas Lt. Gov. Dan Patrick, left, listens as Texas Gov. Greg Abbott, right, gives his State of the State Address in the House Chamber, Tuesday, Feb. 5, 2019, in Austin, Texas. In his recent state of the State address, Governor Greg Abbott declared he wants to limit soaring property taxes and improve funding for Texas public schools. 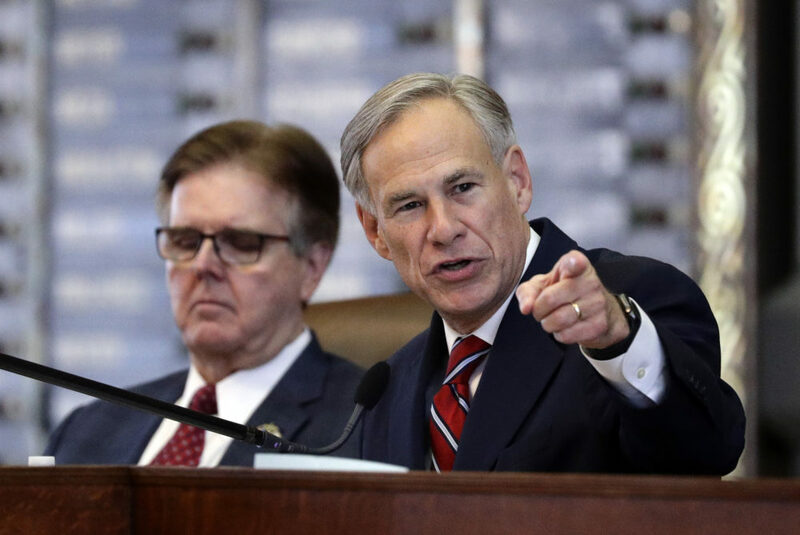 “We must target education funding to help out students achieve in school,” Abbott said. The problem is that Texas currently funds most of its public education with property taxes, setting up a potential clash between the two emergency items in the Texas Legislature. And in one Houston neighborhood, there are strong feelings about both priorities. Principal Angela Sugarek directs traffic at an intersection near her school, Hogg Middle. She fills in as crossing guard because she doesn’t have the budget to hire another one. 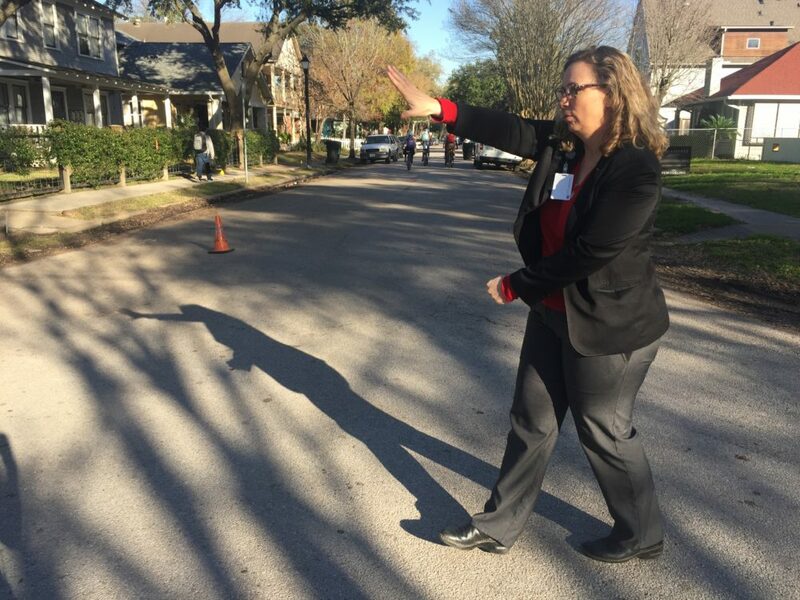 When class ends at Hogg Middle School, principal Angela Sugarek rushes to a busy intersection nearby. She teams up with another administrator for crosswalk duty. “Guys, wait, wait, wait, let the car go,” Sugarek tells students. It would cost the school an extra $10,000 to hire a crossing guard for this spot. “Middle schools don’t get crossing guards, and so if we want a crossing guard, we have to pay for it out of our own budget,” Sugarek says. She says that’s always been the case. “And it’s more difficult now to get them than it’s ever been because there’s less and less money,” Sugarek says. This is just one way Sugarek stretches her $5 million budget. She keeps tools in her office closet to save on maintenance. Parents are asked to chip in funds for sports, if they can. And Sugarek says tuition from an after-school program helps pay for things like field trips and extra tutoring. “I spend a lot of time with my secretary looking at my budget on a weekly basis, sometimes a daily basis, to figure out where we’ve exhausted funds and where we can still spend funds so that we can meet the needs of all of our students,” Sugarek says. She says if lawmakers in Austin want to fix school finance, it’s pretty simple: She needs more money, especially for at-risk kids. Texas relies heavily on property taxes to pay for public schools, and Sugarek knows those tax bills are steadily increasing – and stressing out homeowners in the neighborhood, like Lisa Bidelspach. She’s lived in her historic bungalow in the Houston Heights neighborhood for 27 years. “It was the first one in this entire area that had been remodeled, so I got it for $87,000. And I live here because my friends are here; I have a church that I go to here,” Bidelspach says. Homeowner and retired teacher Lisa Bidelspach says that she picks up substitute teaching to pay her property tax bill. She keeps binders and folders with notes to protest her appraisal at the county. But Bidelspach doesn’t know how long she’ll stay here; property taxes could price her out. Her 1,000-square-foot home is now worth over $300,000. Almost every year she protests at the county. 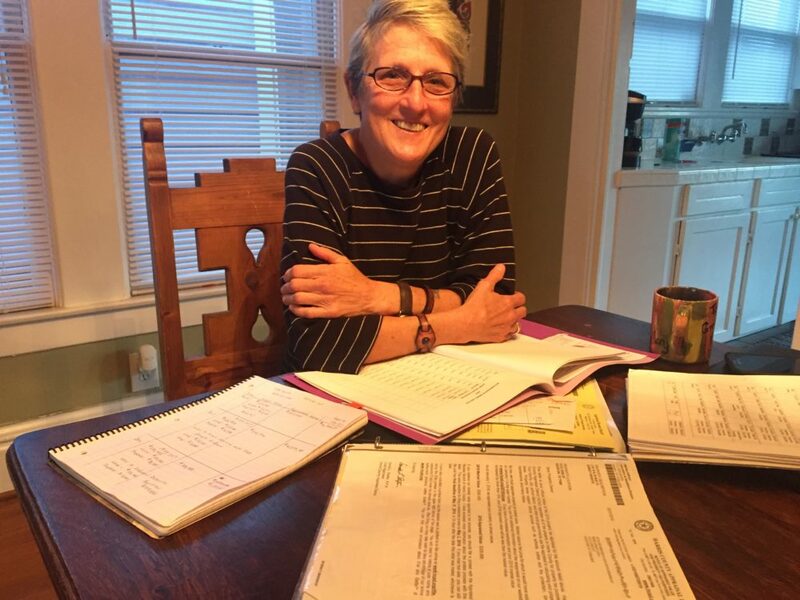 She’s a retired teacher, so she arms herself with market research, photos and notes, all neatly organized in binders with tabs. “This year, I paid $6,310,” Bidelspach says. To pay that, she’s had to partially come out of retirement. Now she’s a regular substitute at local public and private schools. Bidelspach says she needs property-tax relief and she also wants Texas to come up with a fair way to pay for education. “Other states have found it, and I think that putting the entire burden on a property-tax owner is not the way to do it,” she says. Right now, the big idea on the table from Gov. Greg Abbott is to cap annual increases in property tax revenue to 2.5 percent; anything higher would require approval from voters. This plan would give property owners a bigger break than it would give schools extra money — three times as big. So, how do Texas lawmakers satisfy both educators and homeowners, and untie this knot? Some public-school parents want legislators to tackle school finance first, then address property taxes. Amy Maddux leads the parent-teacher organization, or PTO, at Frank Black Middle School. “If all we’re doing is giving property-tax relief, and the state doesn’t increase its share, then we have less money – that’s going to be the end result,” Maddux says. Maddux says her children’s school is lucky because the PTO raises about $100,000 a year for things like new lockers and teacher supplies. But she says the school has other major needs like better drainage for when it rains. “We have lakes that the kids are sloshing through. We have entire buildings that are almost inaccessible except through one door,” Maddux says. She says those things cost more than parents could ever fundraise.